Nowadays he has 13 Grammy Awards, a successful acting career, an Academy Award and fans from all around the world. Even your grandmother has probably heard of him. But when he was a kid, he didn’t even have a friend to stand by him. 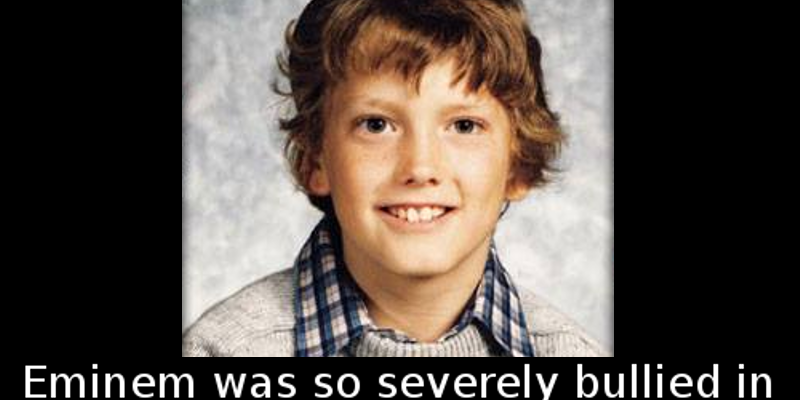 When Eminem was only a 9 year old boy still known as Marshall, kids his age didn’t like him as much as they do nowadays. They bullied him at school and beat him up. One of Marshall’s worst bullies, DeAngelo Bailey, was so aggressive that things got out of hand on numerous occasions. While the two boys were attending Dort Elementary School in Detroit, Michigan, Bailey beat up Eminem on more than one occasion. 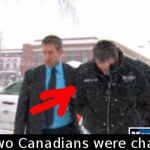 He split his lip, broke his nose and caused him severe mental trauma. One time he even hit Eminem with an icy snowball, which caused severe concussion and even a temporary loss of vision. 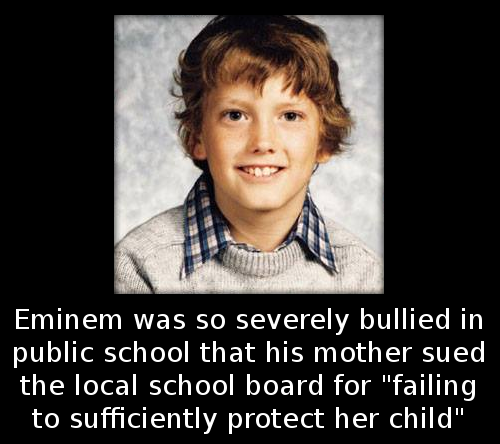 Eminem’s mother became so fed up of seeing her kid beaten up and suffering from nightmare and behavioral issues that she filed a lawsuit against the school system in Detroit. She sued Eminem’s school for $10,000 in the early 1980s, but the lawsuit was dismissed.